Pamplin Media Group - Experience Flamenco! There's a little known fact about the Lakewood Center for the Arts that one might only know if they've experienced it, but hidden within the halls of the performing arts center is a mystical portal that will transport you to Spain. Each Tuesday evening, a small group meets in one of the center's dance studios, where they are magically whisked away to the mountainous region of Andalusia in southern Spain. Here they are trained in the elegant and folkloric art of flamenco dance to learn the cultural significance, to use the harmonies between voice and guitar as a muse, and to connect with the traditions and customs of the people of southern Spain. Okay, we lied. There isn't a magical portal hidden inside the Lakewood Center. 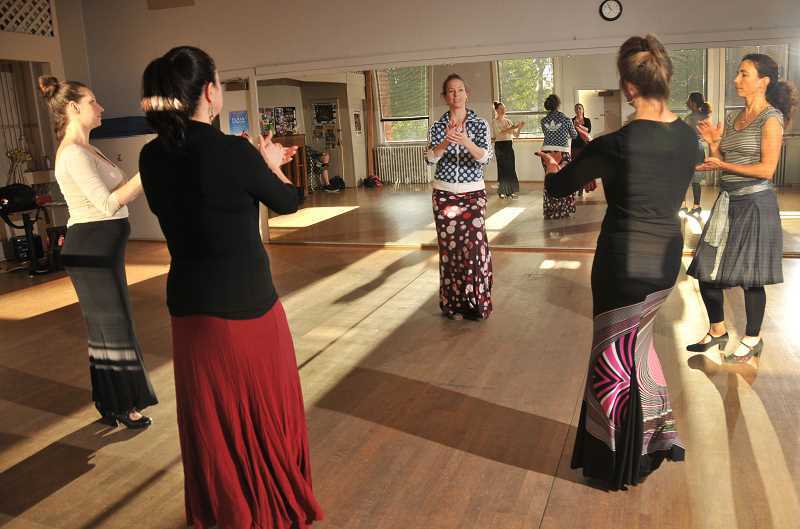 But for the students of Laura Onizuka — proprietor and instructor at Portland-based Experience Flamenco — it feels that way. 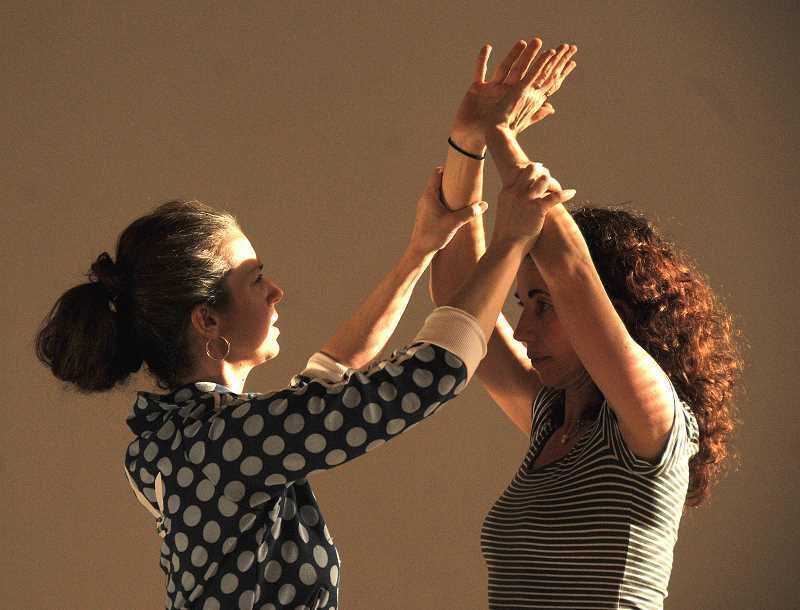 Onizuka's company offers weekly classes at the Lakewood Center to provide an opportunity to connect with flamenco on a level that builds a deep understanding of the craft. It's an experiential form of learning that digs into the roots of flamenco and provides a lasting appreciation for the culture that surrounds it. "I was drawn to the emotion and the aesthetic of it," Onizuka says. "I love how it looks and how it's very intense. I could feel that, and I was drawn to that intense emotion." Flamenco, which is rooted in the culture of southern Spain, is not to be confused with dance styles such as salsa or merengue, both of which originate from the Caribbean Islands and partner dances. Flamenco, on the other hand, is usually performed as a solo dance, and it incorporates footwork and fluid hand movements that mimic the rhythm of the music. Onizuka's fascination with flamenco began when she was a student at Colorado College in Colorado Springs in the '90s. A professor showed her Spanish class a video of traditional flamenco dancing, and she was instantly enamored with the artform. Two years later she found herself in southern Spain studying and practicing flamenco in the location where it originated. "I didn't know where else to study other than Spain, so I went straight to the source," she says. "I could tell that was going to be necessary." For the past 20 years, Onizuka has continued to study the art of flamenco. Five years ago, she began taking students to Spain, where they eat, sleep and breathe flamenco for two weeks, learning firsthand the culture and traditions of the centuries-old dance. Onizuka's classes begin with a warm-up, focusing on rhythm through stomping and clapping. Much of the flamenco style is directly correlated to the music, including guitar phrasing and vocal choruses shouted as encouragement — what's known in spanish as "jaleos." Their shoes are fashioned with metal points stuck into the bottom that serve as a surface to create a percussive sound to the beat. In her more advanced classes, castanets are incorporated to add an extra level of rhythm to the dance. "Flamenco is very connected to singing, so often times I sing along to show how it works," Onizuka explains. "A lot of times, (studios) don't want us because we make a lot of noise. Often, only studios that have tap or Irish dancing will let us dance, because it's not something you want to do on a beautiful wood floor." The Lakewood Center has become a great friend of Onizuka, who currently has about a dozen students studying with her in Lake Oswego — although she would love to increase that number in the future. "(Anyone interested) should try it because it's a really fun art," Onizuka says. "It can be intimidating if you look at a video, but in class we're very open, we laugh and I believe the best learning takes place when you're having fun, so that's an important element." Being so far from the source of flamenco in southern Spain, there isn't a lot of awareness about the dance, according to Onizuka, so another aspect of her company is to spread the appreciation for her passion and educate people on its origins. Experience Flamenco often hosts events and workshops that aim to bring the art more attention in the Portland area. For example, Onizuka's company participated in the third annual Feria De Portland on May 12, a celebration of the Northwest's flamenco community and culture with performances, dancing, workshops, food and activities for kids. 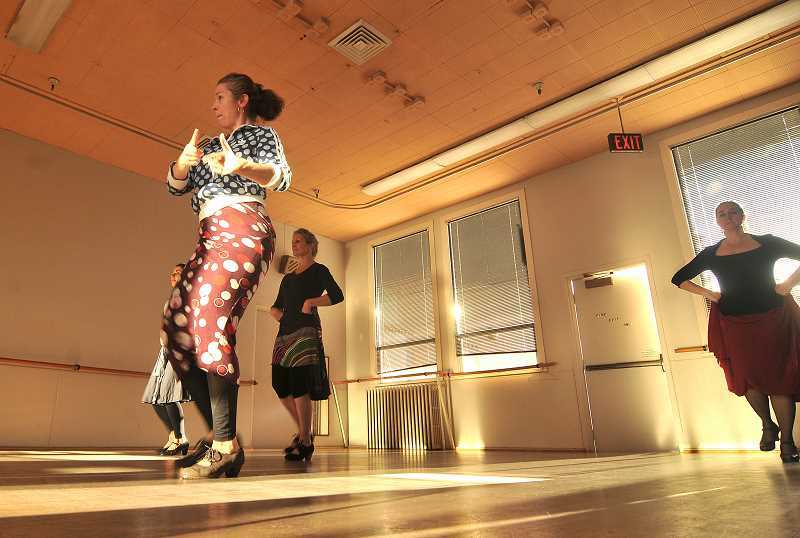 "I love flamenco, so I want to share this passion with as many others as I can," Onizuka says. "I enjoy seeing people have breakthroughs, and it's exciting to see people not knowing a step and then mastering it." Whether in southern Spain or by proxy in a dance studio, Onizuka's enthusiasm for the artform is infectious. While there might not be a magical portal connecting Lake Oswego to Spain, Onizuka's teachings might just transport you there — mind, body and soul. For more information about Experience Flamenco, classes, events and workshops, visit https://www.experienceflamenco.com.